VANCOUVER, BC (CelebrityAccess) — Billboard is reporting that New Orleans-based promoter Huka Entertainment has started laying off staff a week after the Pemberton Music Festival, for which they were the contract producer, entered bankruptcy. "We had layoffs to scale down appropriately," CEO Evan Harrison told Billboard's Dave Brooks. "We, too, are a vendor of Pemberton who was caught off-guard by this." Harrison declined to provide Billboard with numbers for the employees being released but said they company would maintain a 'scaled-down' festival team and a concert tour team. The news about Huka's layoffs come as bankruptcy proceedings for the two companies behind the Pemberton Festival unfold. 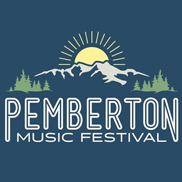 Pemberton Music Festival Limited Partnership (PMFLP), which along with 1115666 B.C. Ltd are both seeking bankruptcy protection, claiming $6.6 million in assets, but listing $16.74 million in liabilities, according to a statement of affairs provided by the Office of the Superintendent of Bankruptcy Canada obtained by the Vancouver Sun. Included in the liabilities are more than $8 million owed to ticketholders for the canceled festival. Those ticketholders, who paid anywhere from $299 for general admission up to $1,799 for “Super VIP” passes have been cast upon the uncertain seas of financial litigation as unsecured creditors. Ernst & Young, who are overseeing the bankruptcy, advised ticketholders to attempt to refute the charges with their credit card providers, effectively leaving the festival's ticketing company Ticketfly on the hook. According to Billboard, Pemberton sold tickets right up until the day they entered receivership, including about $6 million worth of tickets in the final two weeks. Billboard reported that Ticketfly advanced the money for those ticket sales to Twisted Tree Circus, a company controlled by Huka Entertainment, and 1115666 B.C. Limited, a company controlled by Pemberton investors Amanda Girling and James Dales. 1115666 B.C. Limited, by all outward appearances, is a shell company, intended to shield assets and distribute liabilities. Huka-controlled Twisted Tree was replaced as the general partner controlling the festival on April 19th, less than a month before both 1115666 and PMFLP filed for bankruptcy. However, other bankruptcy experts are skeptical of such claims, noting that such changes in controlling entities are unusual for a firm in financial straits. “It’s odd that you’d switch general partners a month before your bankruptcy,” Geoffrey H. Dabbs, a Vancouver bankruptcy lawyer told the Sun. Dabbs also noted that Amanda Girling's role as a director in both 1115666 B.C. and Janspec, a secured creditor of the festival, deserved additional scrutiny.